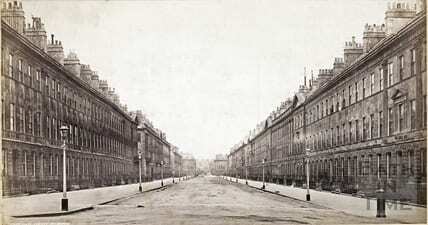 We were contacted by a client who was taking over responsibility for No 15 of the historic Great Pultney Street Bath. 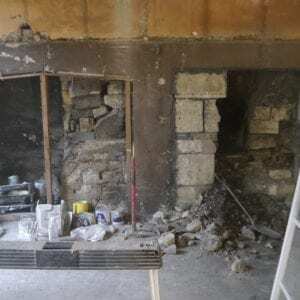 In the basement the original stone work for late 18 century kitchens was still largely intact. 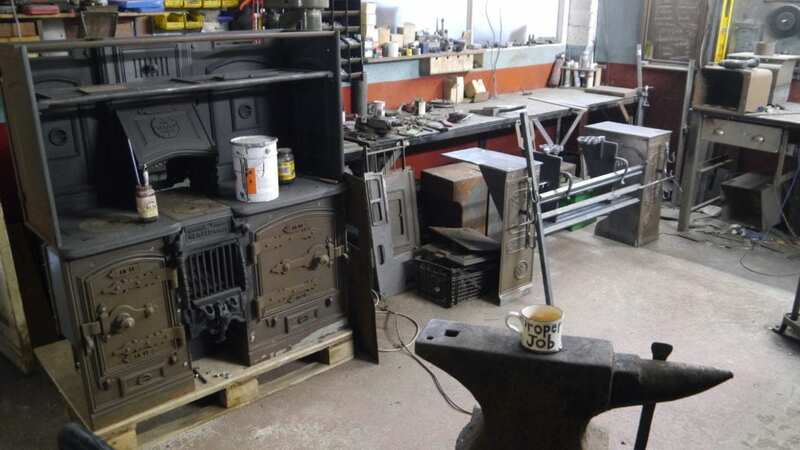 Traditionally the central arch would have house a roasting grate and to either flank would have been a perpetual oven, a copper and a hot plate each with its individual fires. 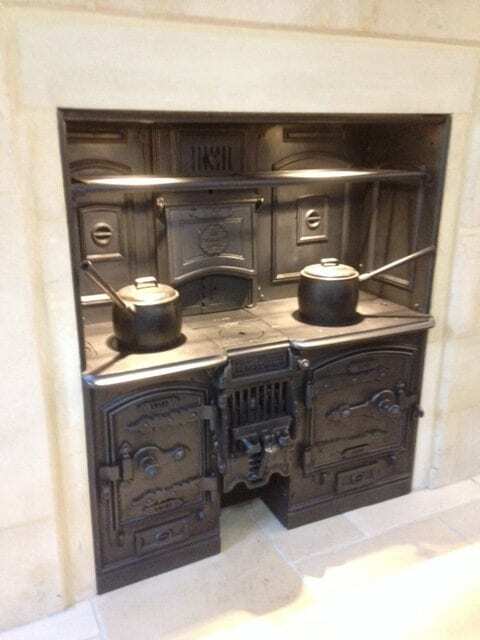 As technology improved these four-individual fires were consolidated into one that could still provide all four functions and hence the kitchen range was born. 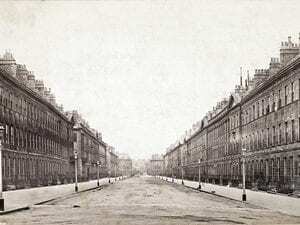 During the 19th century No15 was a private residence but in the early 20th century it became a hotel. 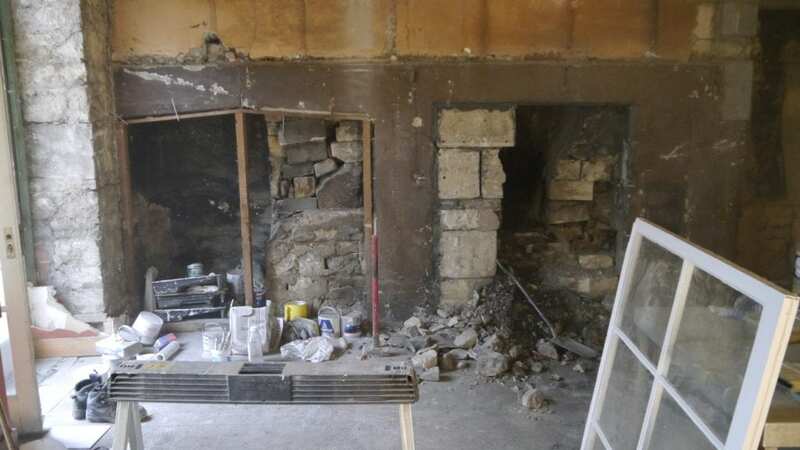 At this time the central arch was squared off to receive the new technology of a kitchen range and one of the other arches was demolished. 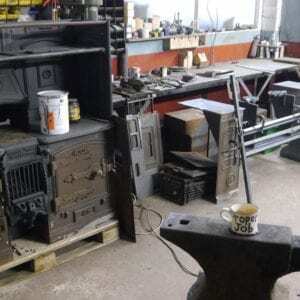 Since then all original hardware was removed and the arches bricked up. We were called in in order to provide something of a historic curiosity for the guests of the newly refurbished hotel whilst protecting the working chronology of the building. We decided to represent the two key stages in the builds life that were both relevant to its history but also to its contempory use. In the existing undamaged arch, we proposed a roasting grate representing the kitchens of the late 18th century and in the squared off recess we intended to reinstate a ‘closed range’ similar to that that would have been installed when the building changed purpose in 1915. 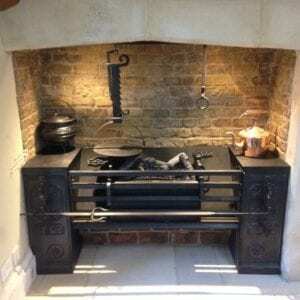 The roasting grate was produced from drawings and photographs and all wrought iron work was carried out by ourselves. 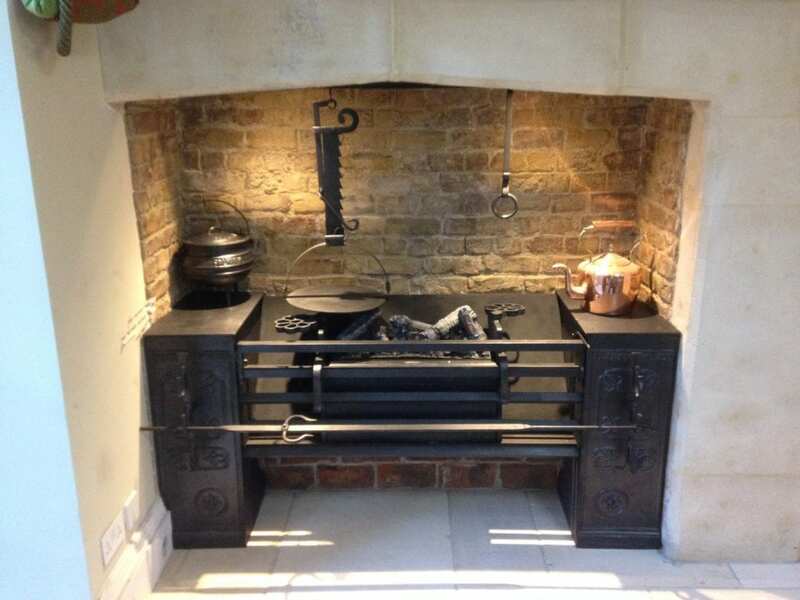 The castings were taken from our patterns and the entirely was made to suit the space with cast iron pots, trammels and spits for display. 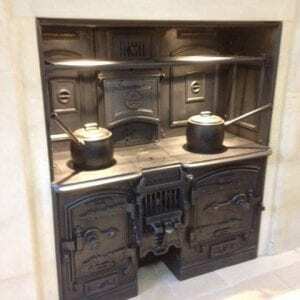 The Herald range was sourced and restored and has special relevance to the area since the brother of the manufacturer (R.Russell & Sons, Derby) owned the Iron & Marble Co, Bristol and therefore were stockists. I have come across several Herald & Gradient ranges in the cities of Bath & Bristol. Once the two ranges were installed and the room decorated they created a fantastic exhibit and I hope has done something to spark the curiosity of those that encounter them.